Sometimes I feel like Lightning McQueen. I am speed. I put my all into where I’m going and I don’t want to stop. Yet I find myself in Radiator Springs. This is my home, where my family is. Things run slowly here. I have children who don’t want to be doing what I’m doing. They don’t want to clean and sew and blog. They’d rather play, laugh, and find joy in the world around them. And while I am rushing around trying to escape to where I want to be mentally, my children are waiting for me, wanting to share with me their simple pleasures. They never give up. They know I’ll come to my senses. And they’re right, you know. Radiator Springs is a good place to be. Life is simpler, happier. I don’t have to be busy to be happy. Who says I need hundreds of items on my to-do list to feel accomplished? I don’t need to be on the go nonstop. When I jump all in with my boys, that is living. That is joy. I can silence out what the rest of the world tells me I need to do and just be. I know you came here to learn about my t-shirt creation for Mr. A, and not read about life philosophies taught by Cars. But I couldn’t help but share my views as I thought about what to write for this post. I hope you are finding those opportunities to find joy with your family and in simplicity! Now, are you curious how to remake the Cars t-shirt? Follow the steps below to do it! This Lightning McQueen digital file printed and ironed on using this. 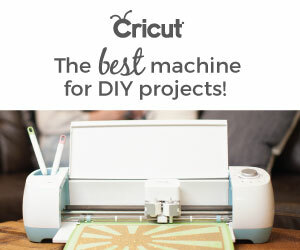 I cut it with my Cricut Explore Air 2, but you can cut it out with a craft knife or scissors as well. This quote cut file (included in my free resource library – sign up for the newsletter to get it). I cut out a stencil from shelf liner from the dollar store using my Cricut (I could have used Freezer Paper as well). I used some black 3-D fabric paint leftover from a previous project to paint it. The dashes on the “road” were originally painted on with yellow fabric paint using the stencil method, but these bled through like crazy! So I ended up cutting out HTV and ironing that on over the painted dashes. Like this post? Can you do me a favor and share it via Pinterest? TIA! I personally like the sharing of your life thoughts. I think it adds a personal touch and allows the reader to connect with you. I can definitely relate to you being a mom as well and wanting to do everything. I love the shirt and I think my son would too but I’m not quite ready to try embellishments quite yet ???? Do it!! They’re not hard and are SO fun. I can’t do a plain tee now that I’ve started! I love how you did the road along the hemline, that’s so clever and so cute. Yay! hehe I love it.